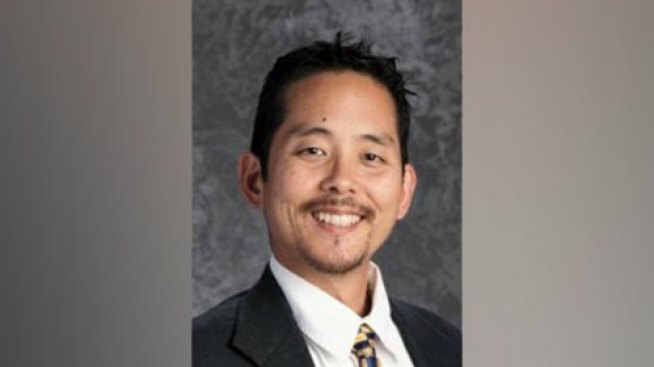 Principal Cliff Hong at Roosevelt Middle School in Oakland is receiving an educator leadership award from the Coalition for Community Schools, which is based in Washington, D.C., school district officials said. In its statement honoring Hong, who has been at Roosevelt since 2010, the coalition said, "Through his leadership and commitment to the community school strategy, Mr. Hong created a strong alignment between the school's academic programs and community school partnerships." It said, "As a result, Roosevelt Middle School has made progress on academic, social-emotional, and civic student outcomes, including lowering the chronic absenteeism rate to 6.5 percent and decreasing suspensions." Hong said he shares the award with his entire school community. In his own statement, Hong said, "In all honesty, the Roosevelt staff, students, families, and partners have collectively earned this award through a team effort. I am proud of the community we have built." The coalition said that in an era dominated bydivisions, the awardees, including Hong, have partnered to work across boundaries of race, class, religion, institutions, disciplines, and programs to advance youth by bringing a multitude of services into schools and their communities. Jose Munoz, the coalition's director, said, "All of the leadership awardees have dedicated themselves to courageously bringing others together in responding to the unique needs of their neighborhood and community members." Munoz said, "As a result, children, youth, and adults are college, career, and civic-ready, going on to raise strong families and build healthier communities." Hong says the award is gratifying but more importantly it motivates him to work even harder. Hong added, "It will motivate us to keep building a school where every student becomes a creative community leader." The coalition will present the national leadership awards to Hong and the other winners at the Community Schools National Forum in Baltimore in early May.